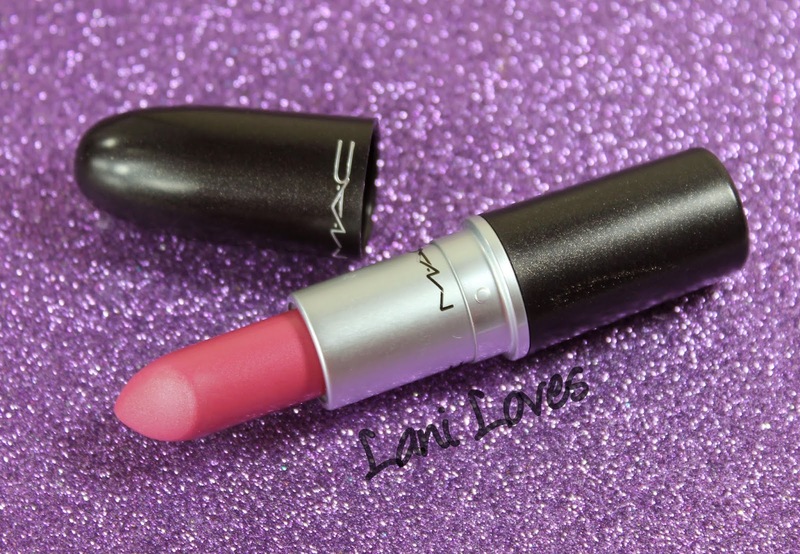 Today's MAC Monday is rather lacking in old collection trivia, in fact today's pick is a bit of a mystery! 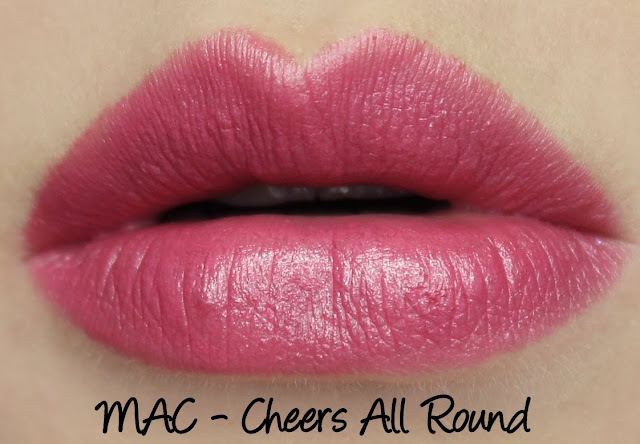 I have Cheers All Round lipstick to show you, which is hard to find any info about online. It was released in the 2010 holiday collection, A Tartan Tale (where it was labelled Cheers All Around, instead of Round), but only as part of a lip compact, not a full size lipstick. From what I can glean it may have been subsequently released as an Asia exclusive, which isn't uncommon (man, I'd love to get my hands on more Asia exclusives!). 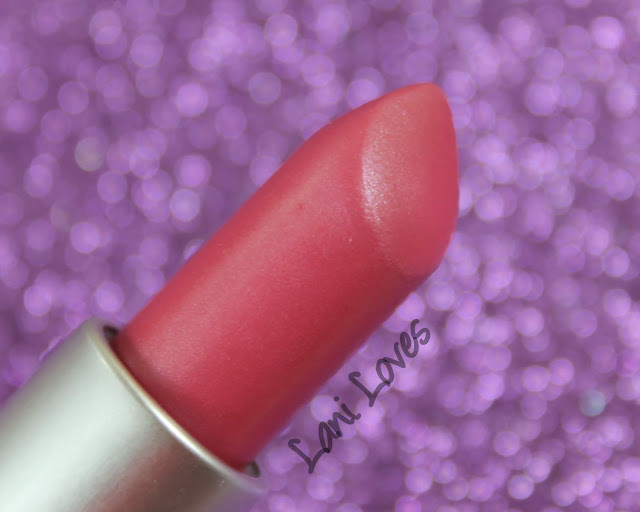 But I digress - let's take a look at the lippy! Cheers All Round is a medium pink frost with subtle cool tones and lovely, opaque colour pay off. My curiosity won out over my inherent aversion to frosts, but this isn't actually too bad! 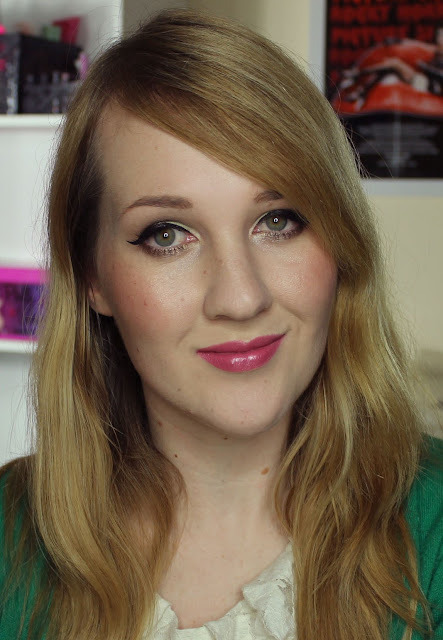 It applies evenly without clinging to or emphasising uneven lip texture and isn't shimmery enough to trigger eighties flashbacks. 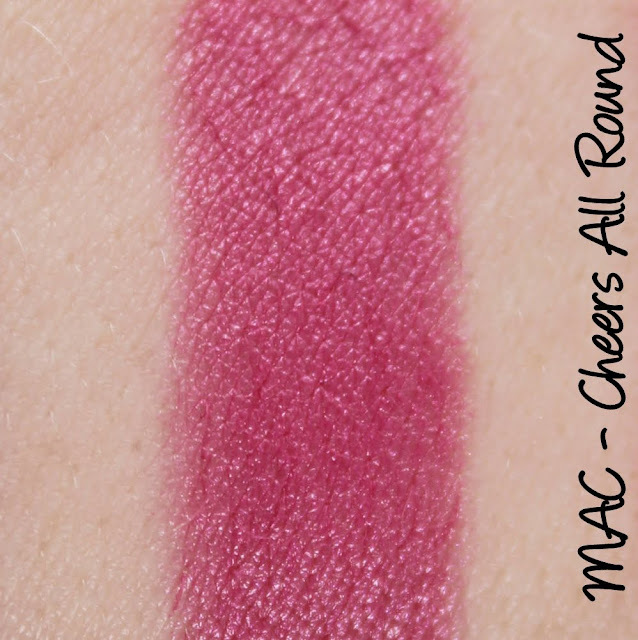 I often have issues with MAC's frost formula being drying, but Cheers All Round wasn't drying in the slightest and wore for four and half hours. What do you think of this mysterious find?